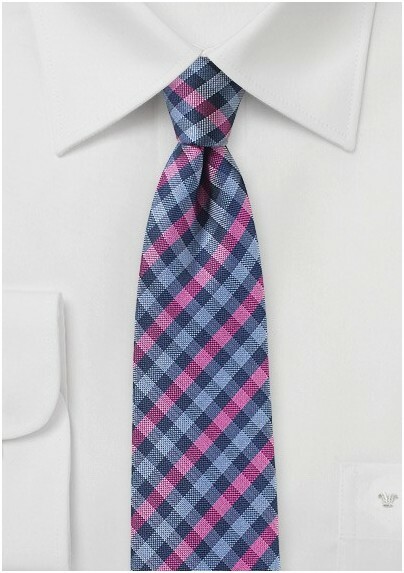 For those hot summer days when you're feeling bold, try this new take on gingham checks. 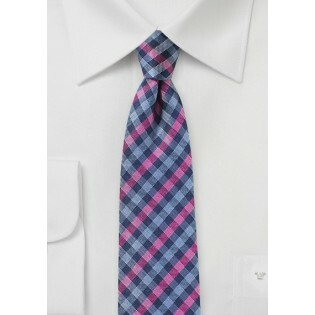 The classic pattern in navy and light blue is disrupted with bright magenta stripes. The light silk is perfect for summertime; try it with any of your linen or cotton suits. Also comes in orange! This tie is beautifully woven with 100% Jacquard silk. It comes in the skinny width of 2.75 inches.